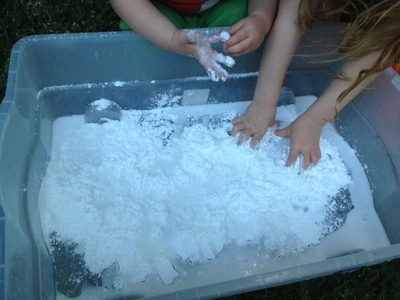 This is a fun messy sensory activity, best done outside on a sunny day. 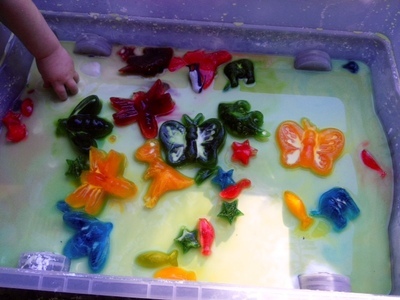 The colourful ice shapes feel cold and slippery in the silky slime. 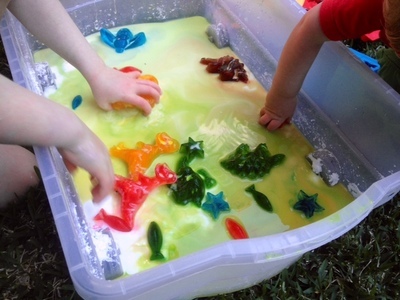 Enjoy watching the colours swirl and mix together as the ice melts. 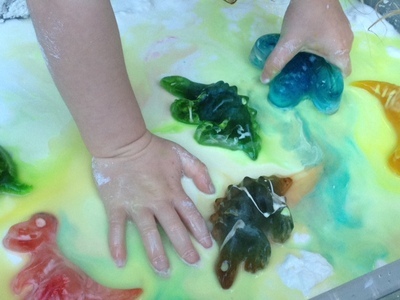 Mix up two capfuls of food colouring per litre of water and freeze in ice cube trays or large silicone muffin trays. It's fun to make a range of colours and have a variety of sizes. It's good to have a few large shapes (e.g. silicone muffin size) as these take a long time to melt. Put the trays in the freezer for at least 24 hours. 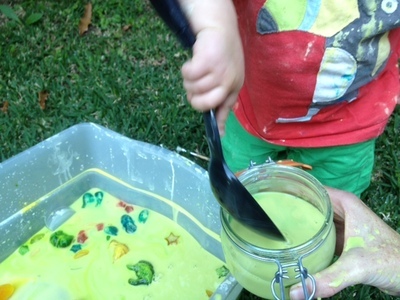 Set out a large tub and get stuck in with hands making up a goopy slime mixture by combining cornflour and water. 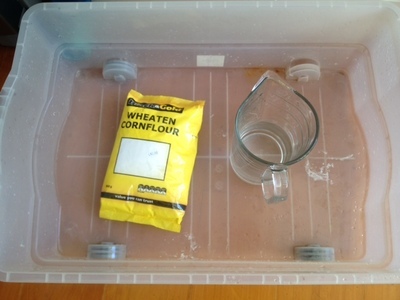 We started with a ratio of 1 cup of cornflour to half a cup of water. 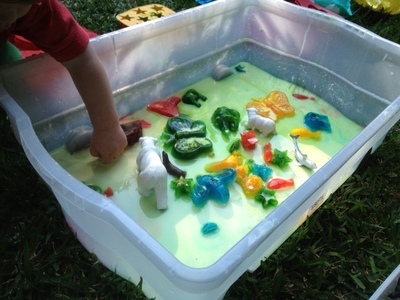 Add the coloured ice shapes and let kids explore the mix any way they choose. 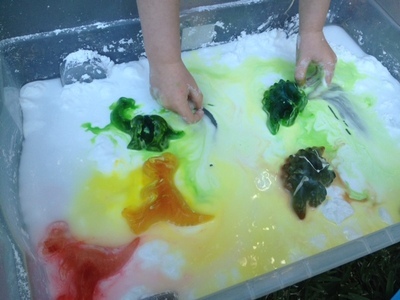 Watch the colours swirl and mix as the ice shapes melt. You could also introduce plastic animals. 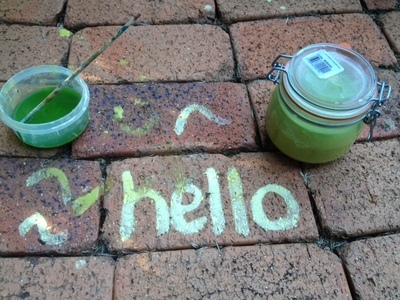 Once you have finished playing, scoop the goop mixture into a jar to make great sidewalk paint for another day. The 'paint' dries with a chalky finish.